During the 1950 and 60s, both UCLA and the Veteran’s Administration were deeply engaged in the Atomic Age, doing their part for the Cold War by performing radiation experiments on a wide variety of animal and human subjects. An unknown amount of the radioactive waste from those experiments, including animal carcasses, were buried in a dump that now lies under a popular Brentwood dog park, and may be disturbed by proposed development of the VA site. Records of these nuke studies show a vast array of experiments, and a potentially large amount of contamination. The university nuked critters ranging from rats to roosters and monkeys to mule deer. Some of the experiments involved post mortems on animals killed by a deadly dose of radiation from atomic explosions. One involved the injecting of poisonous radionuclides like strontium-90 into pregnant Rhesus monkeys in 1961, and strontium-85 into the fetuses. Another in 1954 involved ten burros essentially X-rayed to death, taking three weeks to die. Experiments on live humans were kept under wraps, but were uncovered in the 1990s and caused a huge uproar. Examples of UCLA and West L.A. VA experiments on people are chronicled in the 1996 report, “The Human Radiation Experiments,” put together by an advisory committee to President Bill Clinton. 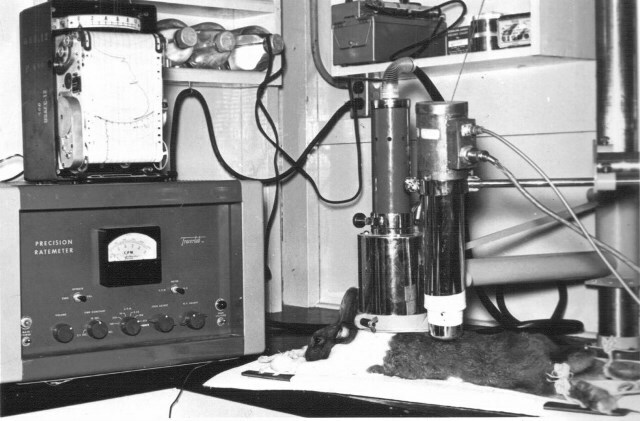 One typical UCLA/VA experiment involved injecting patients with radioiodine to image their thyroids in 1951. Another from 1962-64 saw 11 patients given radioactive calcium-47 in an “atomic cocktail” to see how well they absorbed the material. The 1953 film The Atom and You shows a man downing one of these infamous atomic cocktails as well as the testing of radioactive dust inhalation at UCLA. Atom in the Hospital, a 1961 film, shows UCLA research on the effects of radiation on the human body. Other UCLA human radiation experiments included the use of the radionuclides zinc-65, strontium-85, gold-198, iodine-125, cobalt-60, copper-67, manganese-54, xenon­133, and indium-113. 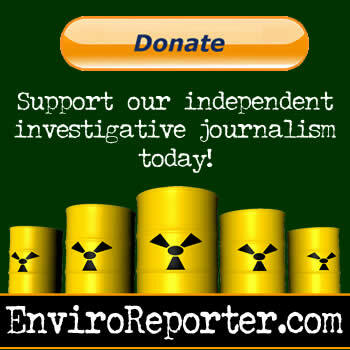 From 1944 to 1974, the VA conducted 2,000 human radiation experiments nationwide, funded by the Atomic Energy Commission, and a significant number took place in L.A. A 1982 Freedom of Information Act (FOIA) document requested by the Los Angeles Federation of Scientists shows that from July 1, 1958 to June 20, 1959 alone, the West L.A. VA injected 1,419 humans with radioiodine, cobalt-60, chromium-51, and iron-59. The 1,635 tests measured things like cardiac output and cerebral circulation and had nothing to do with therapeutic use. The VA’s partner in human experimentation was UCLA. In 1967, a university experiment had 16 children shot up with radioiodine to see the differences in retention between healthy and ill kids. The healthy children ranged in age from 6 months to 12 years. Another experiment in 1973 was performed on 15 children with abnormal skulls, ages newborn to 4 years, and 7 children with normal skull development, ages 7 weeks to 16 years. Each subject was administered an unstated amount of radioactive fluorine-18, derived from a former UCLA nuclear reactor, and then imaged in the nuclear medicine clinic to test for mechanisms involved in the premature closing of the cranium. Another ethically troubling study was conducted in the summer 1953 by the UCLA “Tolerance Section” and was called “Survey of Irradiation Exposure to the Gonadal Region in Man.” The report, marked “Confidential,” utilized “a large number of university students” who were subjected to 480 separate X-rays. Forty-one Atomic Energy Project personnel were also X-rayed as part of the testing. The experiment also called for the “roentgenographic (X-ray) examination of children from the newborn to the age of 12.” The X-ray doses the kids received depended on which category they were in: infants, ages 2-7 or 7-12, with the dosage basically doubling for each older age group. Given this extensive human radiation testing, what to do with bodies became a concern at the VA and UCLA. Records gleaned from the 1982 FOIA request to the VA indicate one 1964 meeting of the VA Center Radioisotope Committee that discussed “safe handling of cadavers containing radioactive isotopes.” The committee’s conclusions were blacked out by FOIA censors. Other parts of this FOIA were blacked out but with an explanation. In a 1982 letter from the federal district counsel to the Los Angeles Federation of Scientists, which had submitted the FOIA request, the government wrote: “That information was withheld on the basis of potential employee misconduct leading to a civil and/or criminal investigation.” There is not, however, any evidence that human remains are in the dump. This wasn’t the last time the government blackened out documents and hid information regarding the Brentwood nuclear waste site. That information may be crucial to development considerations when assessing the VA property and its forgotten dump.